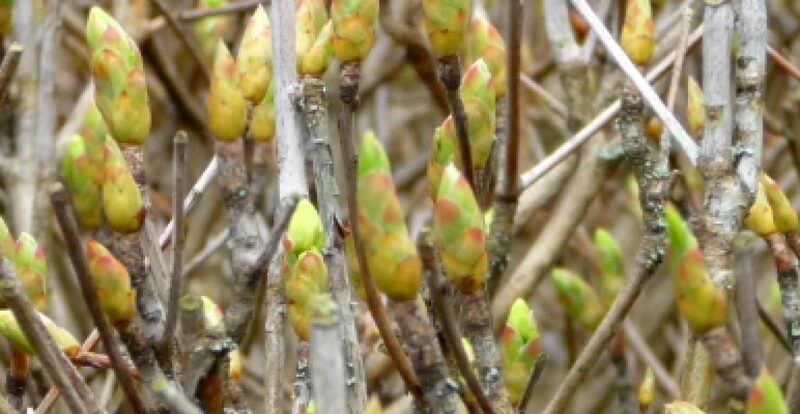 The weather had been awful leading up to the first visit of 2013, spring had been having difficulty breaking through the snow, ice and northerly winds, but finally it had arrived and buds were beginning to appear. 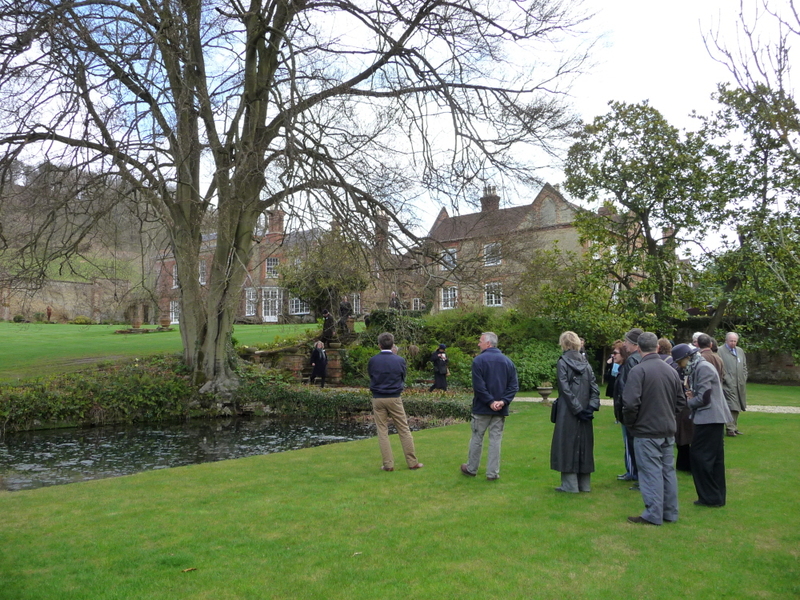 The grade II listed Chilworth Manor was our first garden of the day where owner Mia & Graham Wrigley gave us a welcoming hot drink and biscuits before the head gardener John Macrae Brown (and alpaca keeper) showed us round. There has been a house on the site since about 1620. 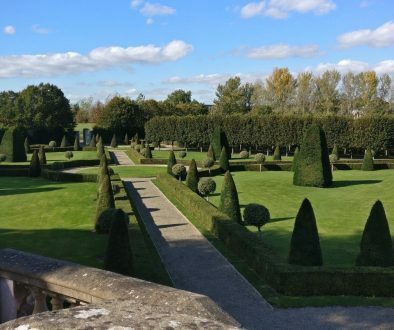 When the current owners bought the property the gardens had become overgrown as the previous owner, Lady Heald, had died a week before her 100th birthday and had found it increasingly difficult to keep the gardens. 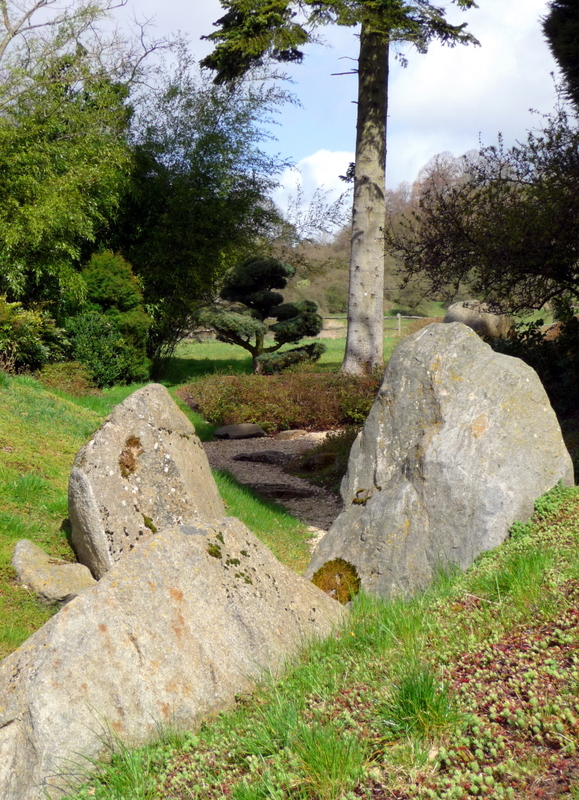 Since then they have worked on bringing them back to their former glory and introduced a Japanese element with cloud pruning and sedum hillocks around the stew ponds (where fish were grown/kept for food). Rather than creating ‘garden rooms’ there is a more natural open flow as you move between the woodland walk and the rest of the garden. 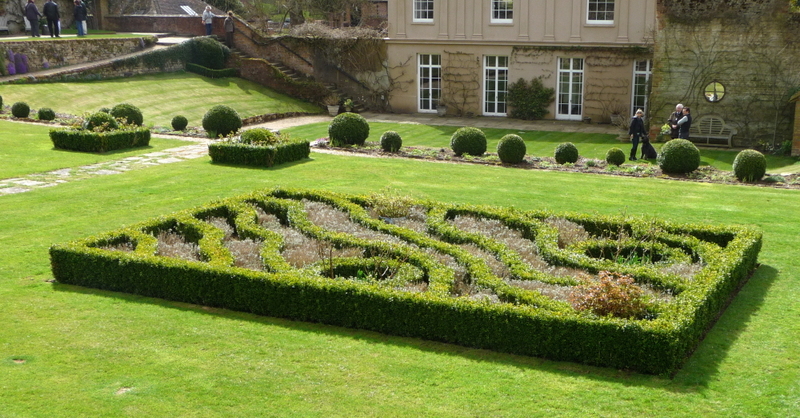 In 1720 Sarah, Duchess of Marlborough created a terraced walled garden with topiary, fruit and herbaceous borders. 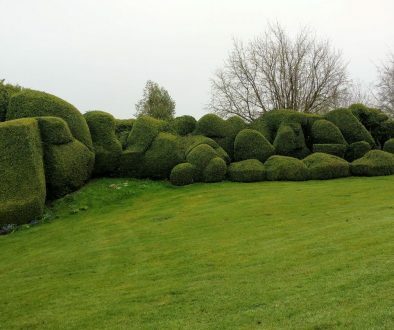 Box would not have been used when the garden was a ‘pleasure’ garden but would have been mainly fruit trees. 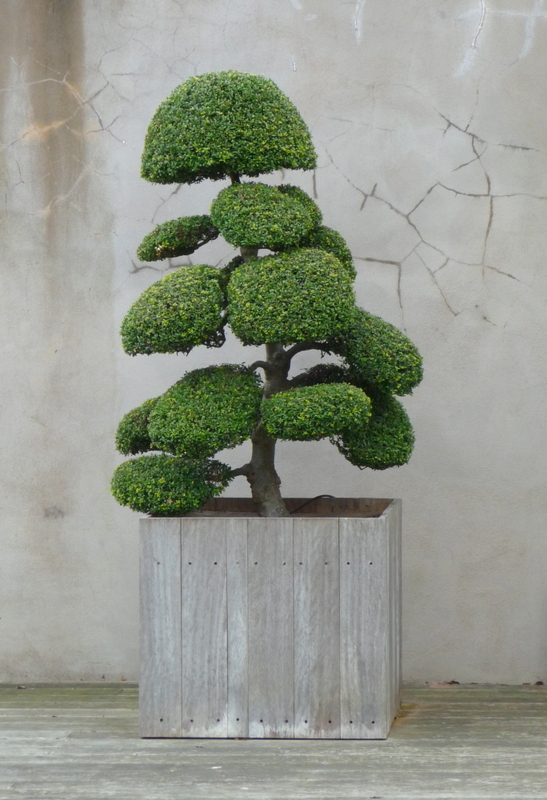 In 2010 the box showed signs of blight and it was felt that it had been caused by a lack of air flow between the plants, it is kept under control by removal of the worst affected plants and professional spraying. 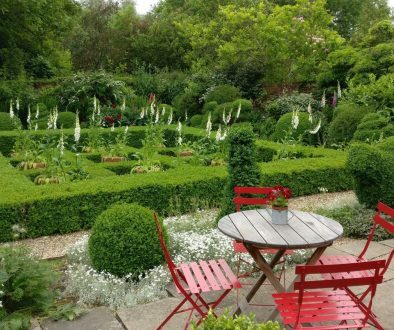 Our next garden, Vann, is the home of the Caroe family and Mrs Mary Caroe met us in the gardens that surround the five-acre English Heritage William and Mary house with Arts and Crafts additions. 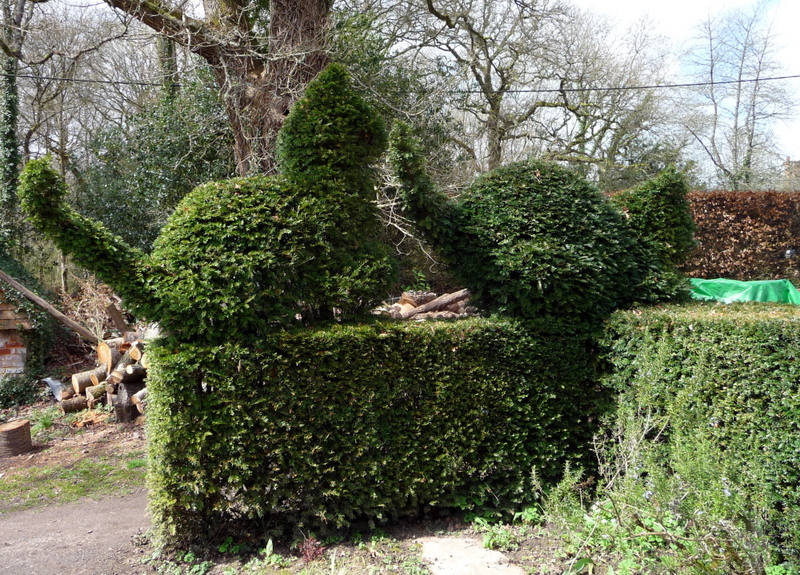 The original brick-paved cottage garden has two giant yew sentinels. 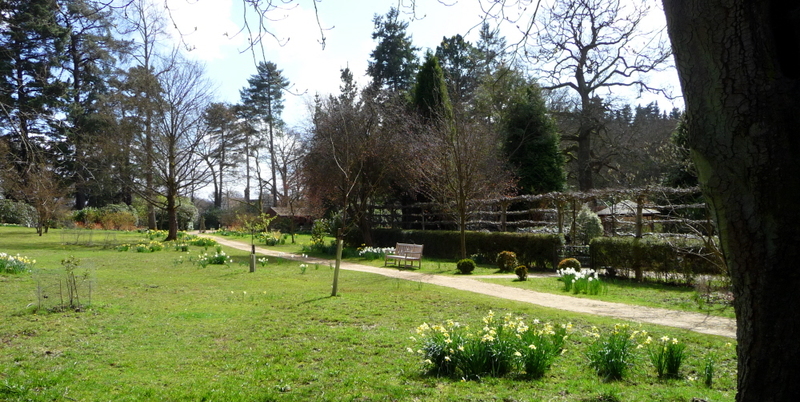 The gardens include a pergola of Bargate stone which was designed by W. D. Caroe, the Arts and Crafts architect and grandfather of the present owners. 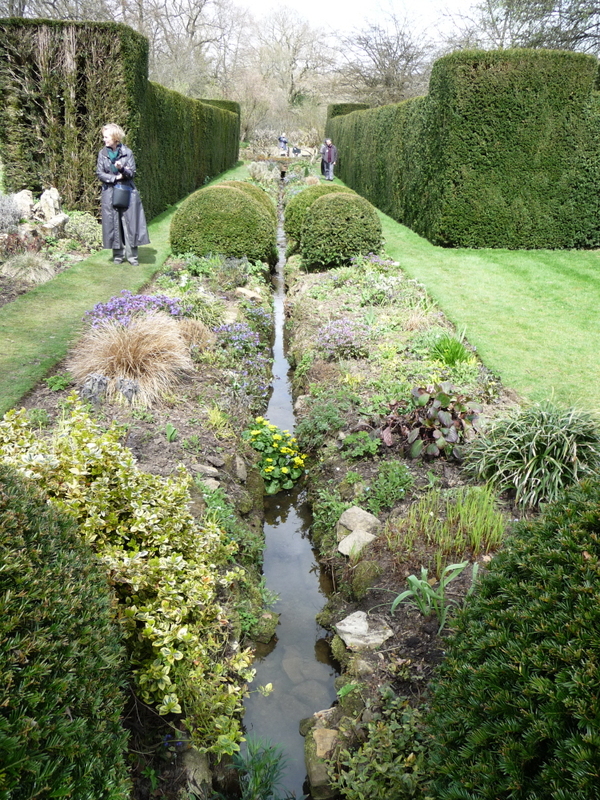 To the back there is a handsome yew walk with a rill and a water garden, designed and laid out by Gertrude Jekyll in 1911. 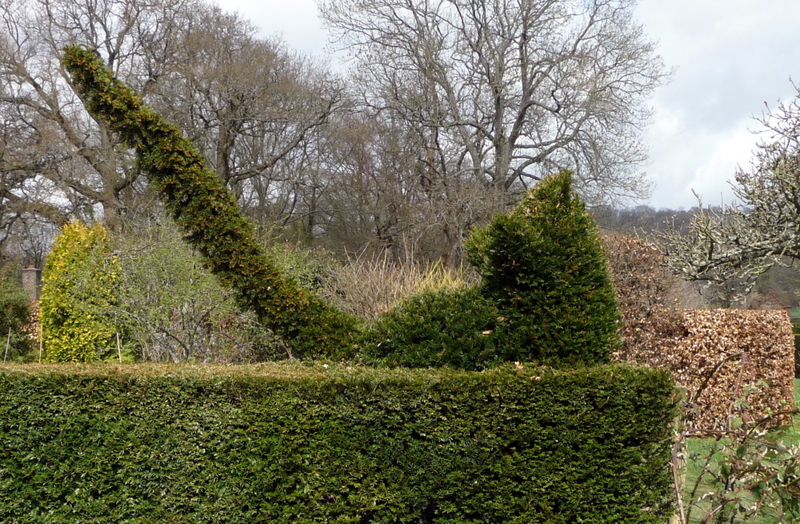 And the playful topiary cats chasing the mouse along the yew hedge next to the vegetable garden. 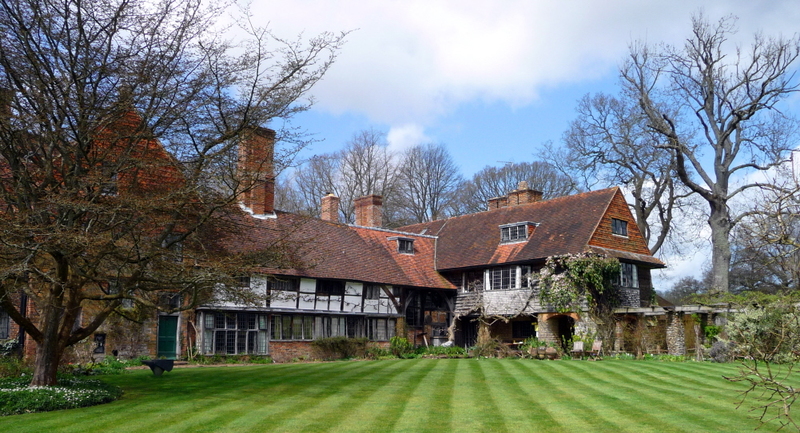 After a delightful lunch in the converted barn and a Q&A with the daughter of the owner about what it was like to grow up in such a remarkable house and gardens, it was on to Ramster Hall gardens for afternoon tea.